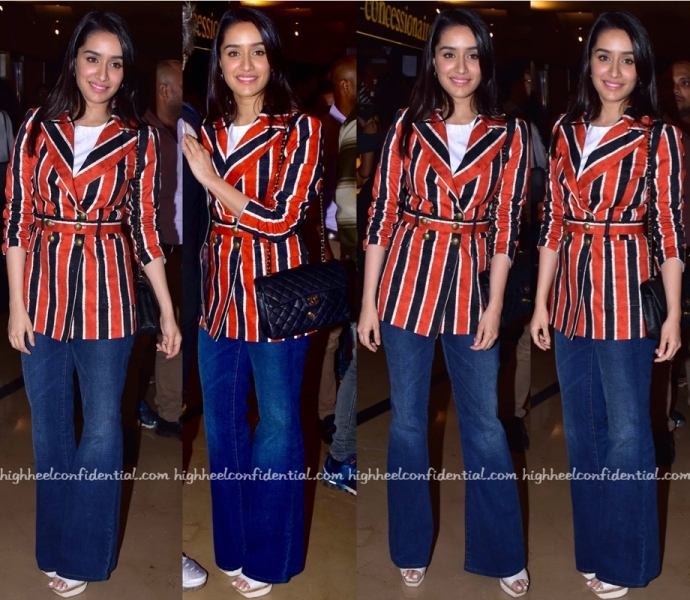 For her appearance at a recent screening, Sharddha teamed her Forever 21 denims with a white tee and Stella Jean jacket. Her accessories included pair of white sandals and a classic Chanel bag. Teaming her Forever 21 tank with a jacket and shorts (both from Zara), Kriti attended a recent launch in Mumbai. With her hair pulled back in to a ponytail, she rounded out the look with a pair of ankle-strap sandals. It’s a tricky mix but she made it work for her.